Medusa Art Gallery is an interesting visit for those who are interested in latest international art works. 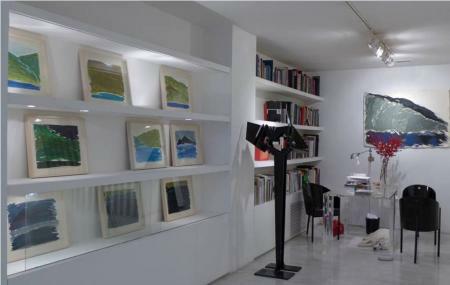 Established by Maria Dimitriadis, this gallery exhibits the art works by artists such as asTakis, Mario Prassinos, Alexis Akrithakis, Harold Ever since its inception, this gallery has organised many events and exhibitions that promote Greek artists on the international front. What makes this gallery interesting is that it takes the name of the Greek mythical character Medusa. Considered to be a demon, Medusa was supposed to have venomous snakes instead of her hair. Taking the name of this unconventional mythical character, the designer of this art gallery definitely hints at the avantgarde elements stored within the space. How popular is Medusa Art Gallery? People normally club together Lykavittos Hill and Academy Of Athens while planning their visit to Medusa Art Gallery.